Back in 2014 the telive decoder by sq5bpf was released which allowed RTL-SDR users to decode and listen in to unencrypted TETRA radio. TETRA is a type of digital voice and trunked radio communications system that stands for “Terrestrial Trunked Radio”. It is used heavily in many parts of the world, except for the USA. 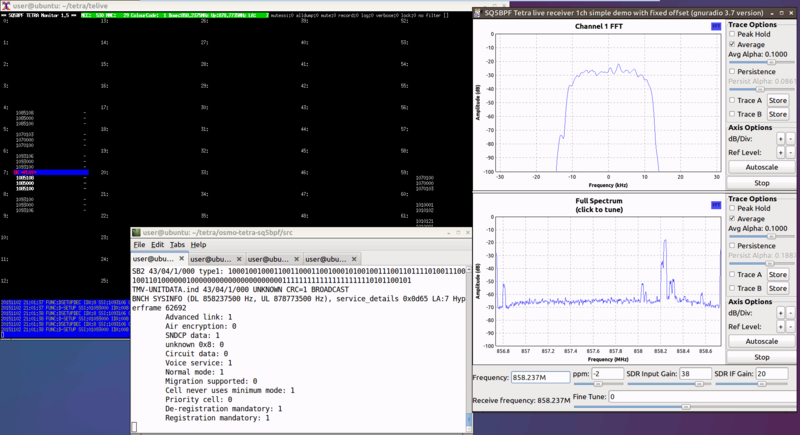 If you are interested in TETRA decoding we have a tutorial available here, which has just been made much easier thanks to this image. Installation of the telive decoder involves simply running a script, but this can be fairly difficult for someone with no Linux knowledge to do. So to make life easier sq5bpf has recently made available for download a bootable telive Linux image. By writing this Linux image to a 16GB USB drive you can boot straight into the Linux operating system and access telive. A live image like this helps avoid the hassle of having to partition your hard drive and install Linux, or try and set up a Virtual Machine that could be slow. The image is also useful to users who want to play around with GNU Radio as it is aksi preinstalled. I see a lot of development for the US systems and obviously decrypted police transmissions, but has anyone tackled TEA2 for us UK users?